How to buy electric bicycle? 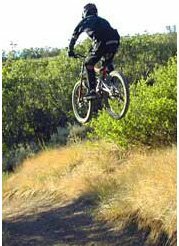 Get knowledgeable about the electric bicycle parts and the performance criteria. What is your ideal e-bike weight? Weight calculator. How much battery capacity? Battery capacity calculator. Check your country's law. Pay attention to propulsion type. Go over the reviews, best eBike to find the perfect e-bikes. How to ride an eBike? What maintenance is needed? How to diagnose problems?